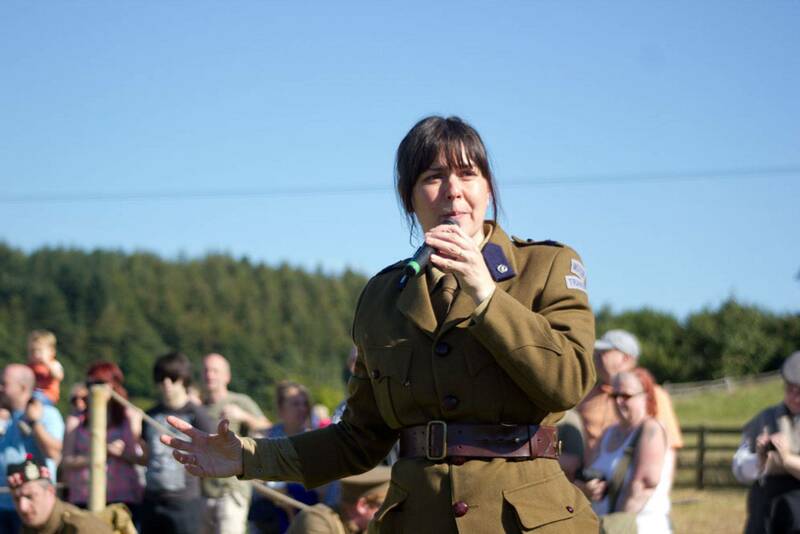 Some of the events and projects we have worked on recently. 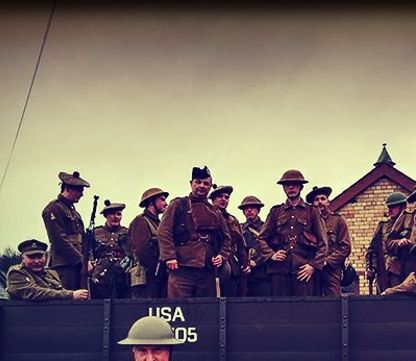 Our next event will be the Great North Steam Fair at Beamish Museum, Stanley, where we will be representing soldiers returning from the fronts in 1919. 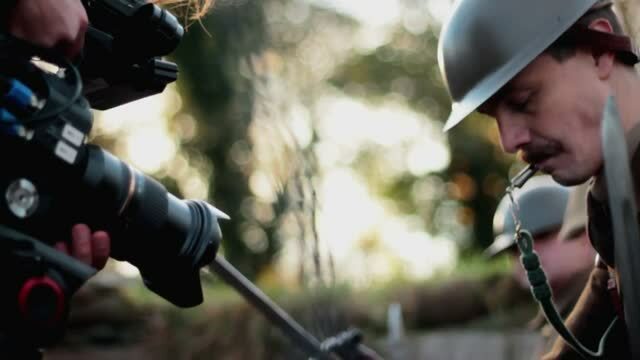 This year we worked with the BBC on two projects; "The Flu That Killed 50 Million" and "Scottish Soldier", providing extras and historical advice. 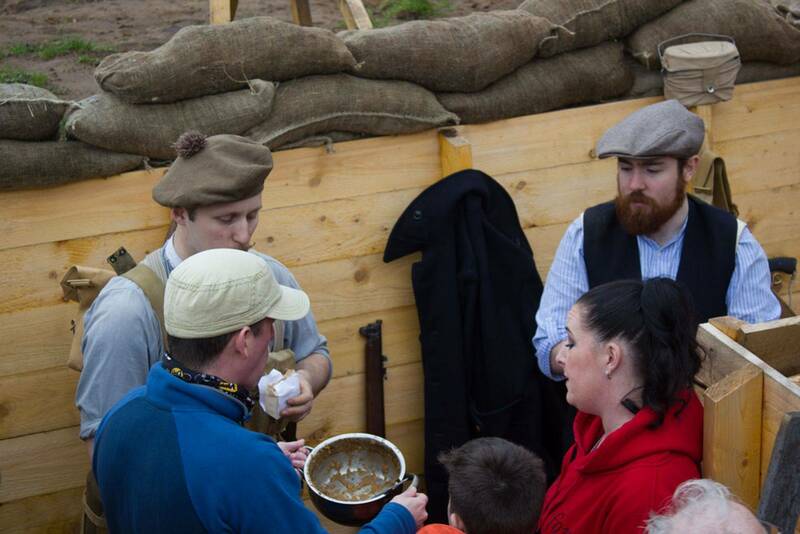 In 2016 we had the pleasure of working with STV Glasgow at Digging In, Pollok Park filming footage for the Scotland Remembers programme which was shown on Remembrance Sunday. It was a fantastic experience and the crew obtained some excellent footage, some of which you can view opposite. At times you have to remind yourself that this was shot in a park in Glasgow. 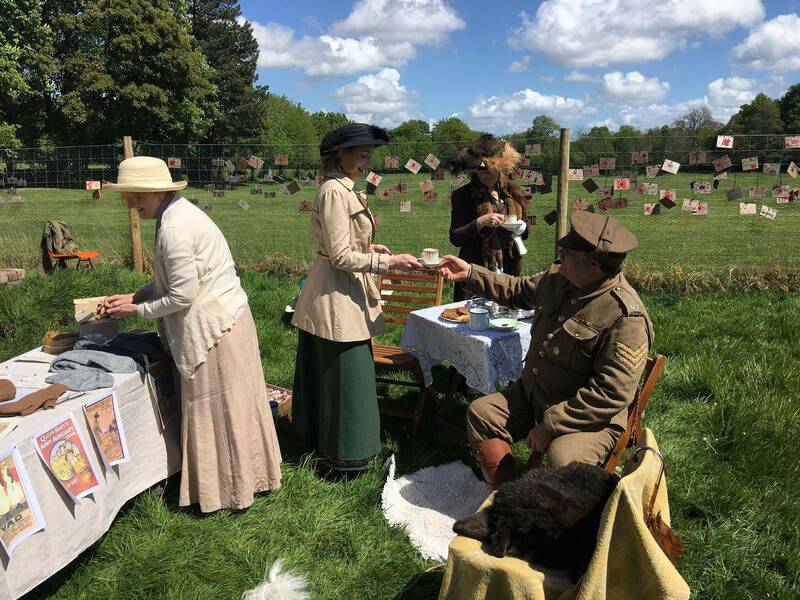 If you get the chance I would highly recommend a visit to the Digging In trench system at one of their open days. Details on their website. 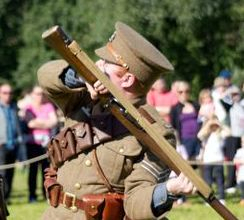 Last year we went down to Yorkshire Wartime Experience, participating in living history displays and battle reenactments. This will be a regular event in our calendar in years to come. 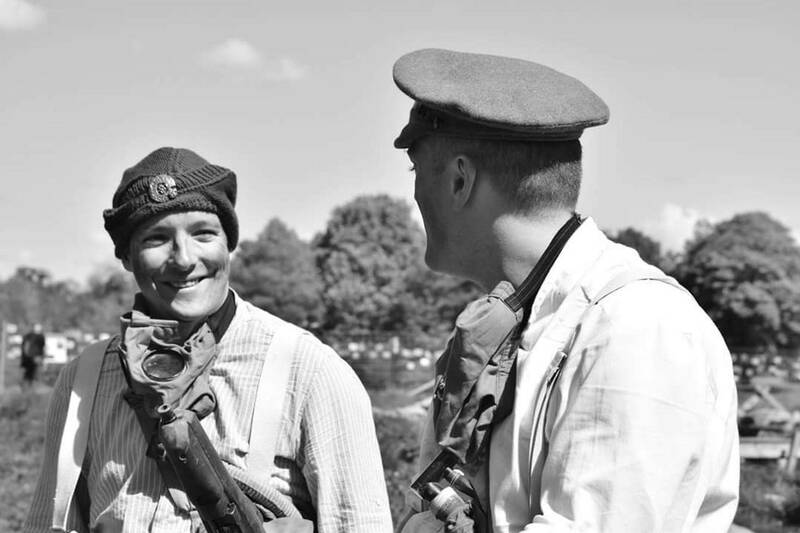 We recently took part in the Wartime Experience event at the Museum of Flight at East Fortune. 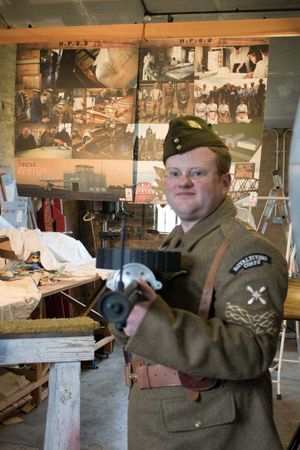 Despite the initially chilly weather, our encampment was visited by hundreds of visitors, and Adam (pic) managed to visit the APSS Sopwith Strutter project. 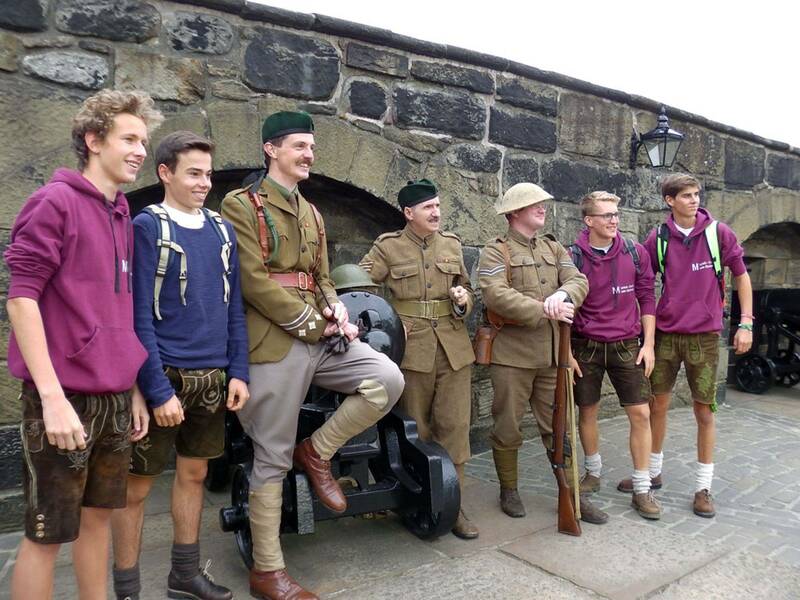 We are very proud to work with Beamish Museum on several events each year. Join us for the Great North Steam Fair in April! 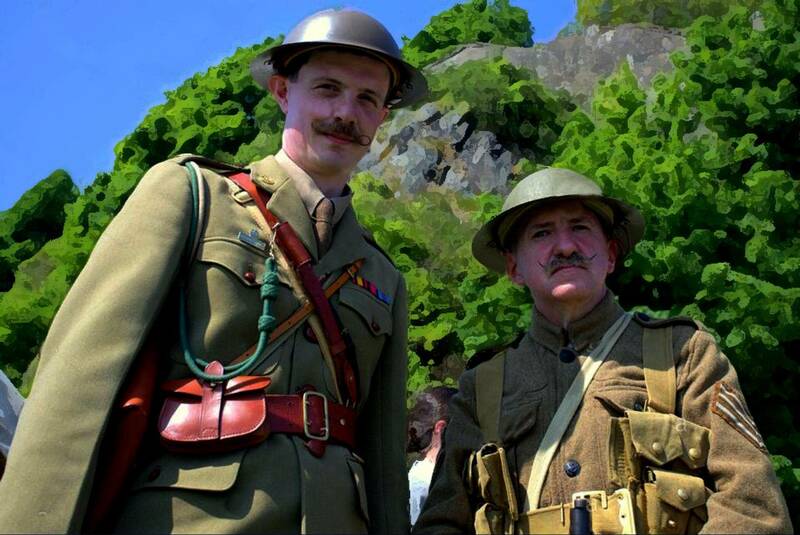 We had the pleasure of attending the recent Tanfield Railway WW1 event in County Durham. 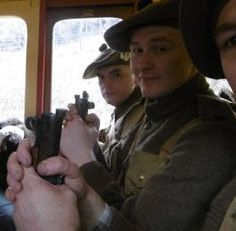 Tanfield Railway is the world's oldest railway, so 100 years ago is nothing to them. 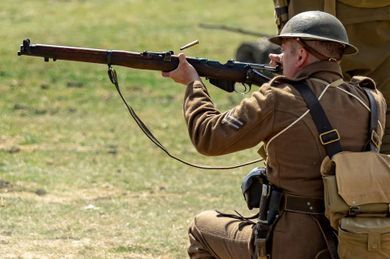 We regularly commemorate those who fell in Great War conflicts all over the globe, such as Gallipoli, the Somme, Arras and many more at events and individually. 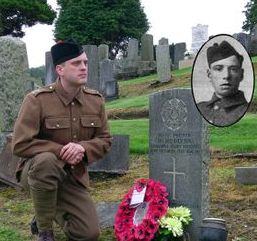 In the photo above Alex Mallia commemorates his GG Uncle Neil McGlynn, 100 years after his death. 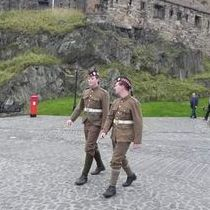 We have been very fortunate to work with the Royal Scots Association this year, during the launch of their new online role of honour and to commemorate the end of the First World War centenary.